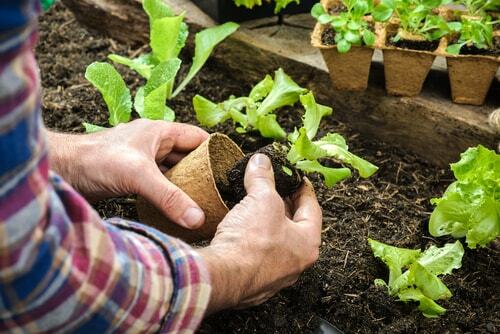 Gardening can be one of the most rewarding outdoor activities you can do, and it can benefit your life in a number of ways. It promotes stress-relief, improves heart and brain health, and even reduces the risk of Alzheimer's and stroke. But did you know that planting your own garden could help you financially, too? The National Gardening Association estimated that an average family garden costs about $70 a year to plant, but stands to yield up to $600 in fruits, vegetables, and herbs. Eating well can be expensive, and if the prices at the grocery store have you searching for "title loans near me," why not see how much money you can save by planting a garden of your own? Here are some tips to help you plant some greens to save some green! Every garden needs plants, and every plant starts with a single seed. Seeds are less expensive alternatives to buying seedlings or starter plants. You can even use the fruits and vegetables you already have as your seed source. It may take longer for you to see the fruits of your labor when you start with seeds, but it'll be worth it when you have fresh fruits and veggies to add a little extra love and nutrition to a healthy meal. Fresh herbs can cost upwards of $2 a pack, so growing your own herbs at home can easily pay for itself. Herb gardens are great additions to any kitchen, and parsley, thyme, oregano and basil are all great herbs to start with. They are all easy to grow and are central flavors in many summer recipes. A title loan could help you get the financial boost you need to buy fresh herbs and produce today, but some careful planning can help you be ready for tomorrow, too. Just be sure your herbs get enough light by keeping them close to a windowsill and spice up your cooking in no time at all! It's no secret that prolific plants will help you maximize your yields. Choose veggies that are easy to grow in your region and have a high yield. Tomatoes, zucchini, kale, lettuce, carrots, beets, and radishes are great options for beginners. Different fruits and vegetables grow in different parts of the year - some are even good to grow together so the soil isn't depleted of nutrients. With a little patience, you can line your meal plan up with your gardening game plan. 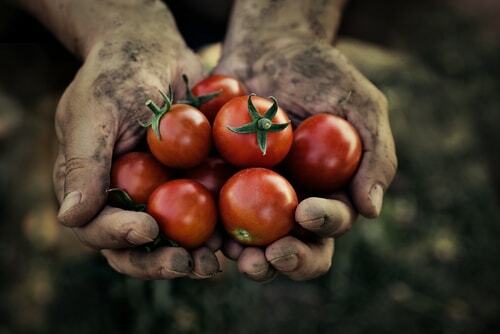 You don't want to plant all at once and harvest all at once when it comes to home gardening. Planting one of the same vegetable every two to three weeks if space allows, helping ensure salads all summer long instead of one big batch that you have to harvest and consume in a short period of time. Just like all of us, seeds need a rich and nutritious diet to be the best fruits and vegetables they can be. A little fertilizer goes a long way, but if you have the time and space, you can use compost or composted manure as a cheap alternative to chemical enrichment. Just because you're the mastermind behind the garden budget and all the benefits that come with it doesn't mean the whole family can't join in the fun! 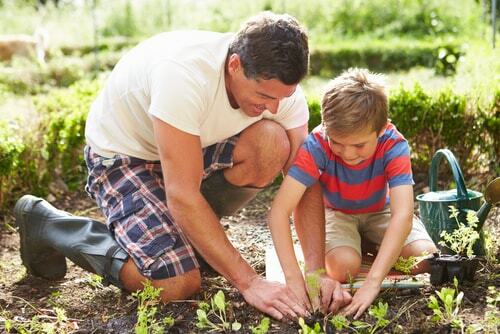 Make tending your garden a family activity, and if you have children, be sure to involve them in the process. From planting the first seeds to daily watering and even cooking with your home-grown goodies, gardening with your little ones teaches them important life skills and how to be more environmentally-aware adults. Start growing your garden and your finances together today - your diet and your wallet are sure to thank you for it!